Click on Start -All Programs -Accessories -System Tools -System Restore. By default this feature will be disabled. If It is already enabled in your system then jump to Step 2. Step 1:- Go ahead and uncheck "Turn off System Restore" and assign "Disk space usage" to save our restore points. We can slide the slider towards right in order to do that. In my case I have assigned 12%. Now you will see "Status" changed to "Monitoring" below. Step 2:- Now click on "Create a restore point" and press Next button. 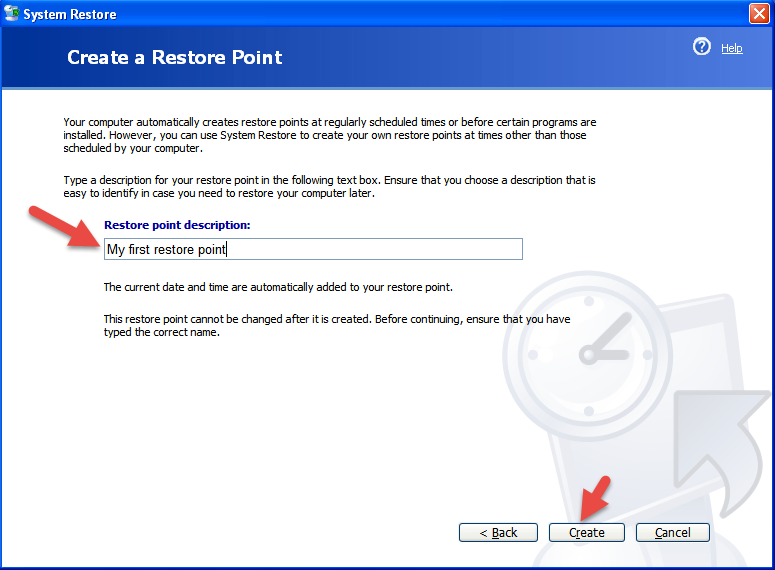 Step 3:- Enter your "Restore point description". For this tutorial I have entered "My first restore point". Now click on Create. Step 4:- Here we go. You have created your system's restore point. Click on close button to exit the current window. © 2016 Pratap Tirua . Simple theme. Powered by Blogger.